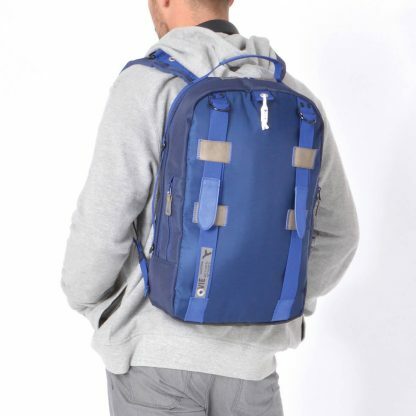 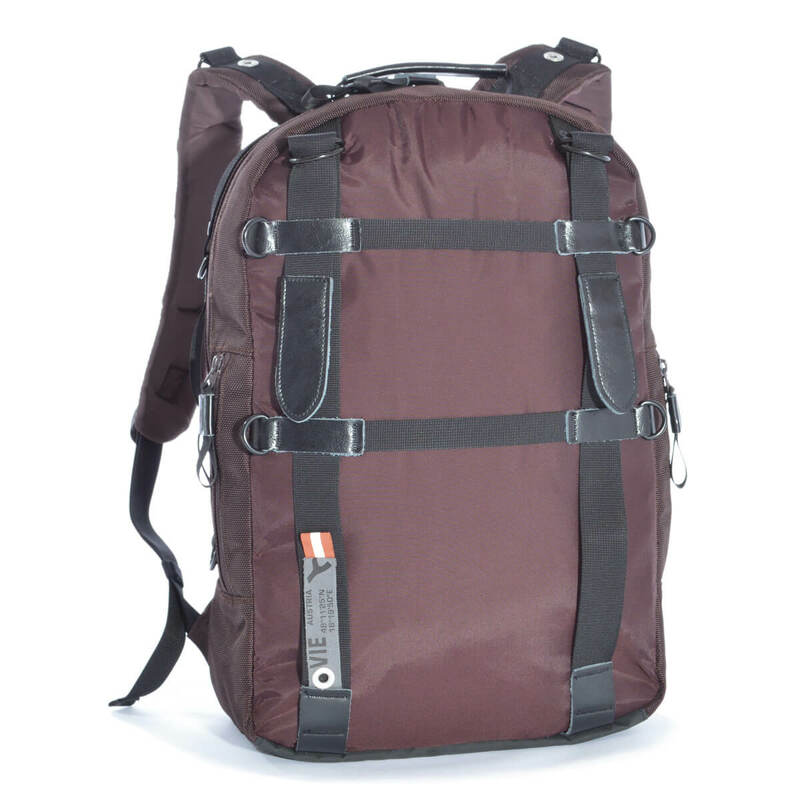 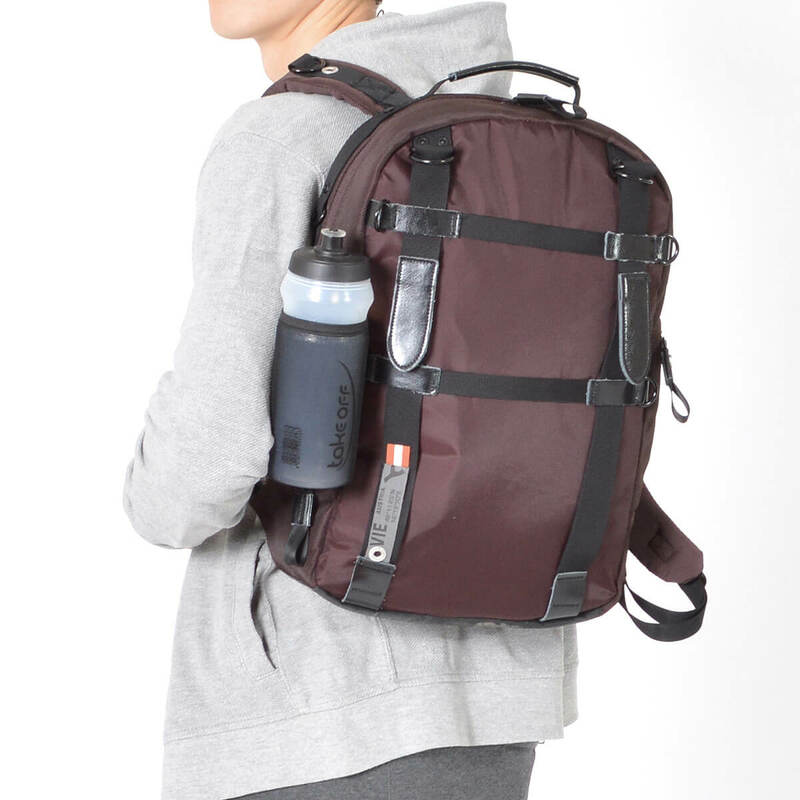 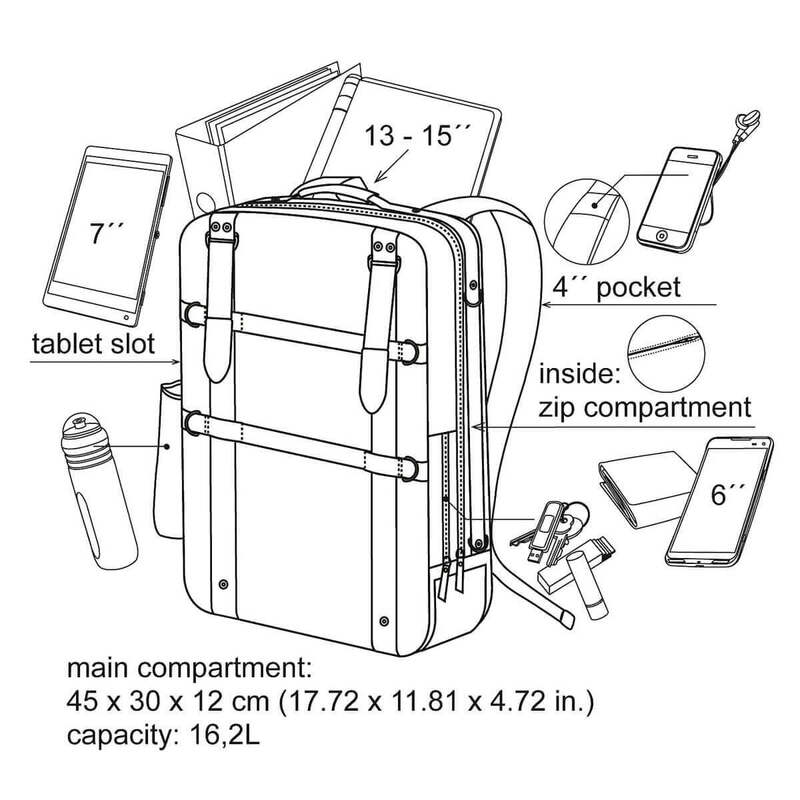 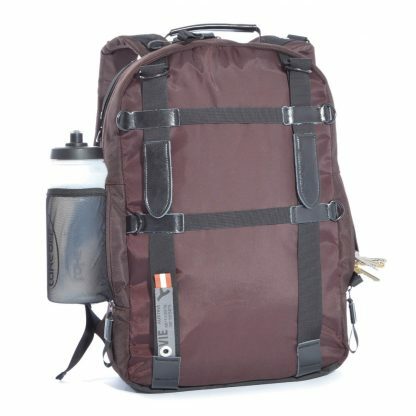 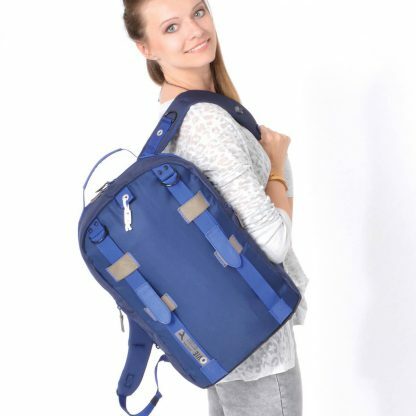 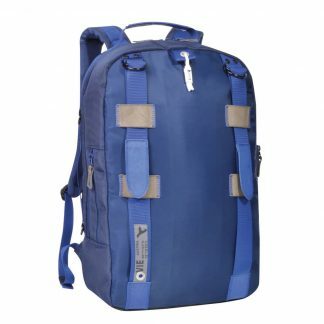 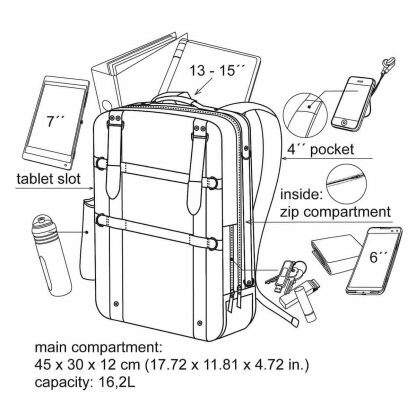 Laptop backpack SALE product, with 13 – 15´´ computer compartment & 7´´ tablet slot, bottle pocket and key pocket with key carabiner. Versatile interior & many features. 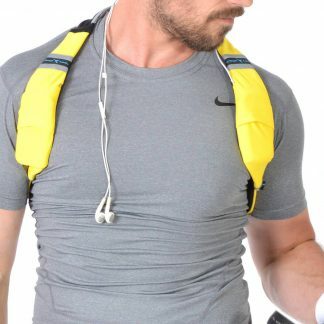 The ergonomic shoulder strap connection with rings ensures perfect fit for any shoulder shape. 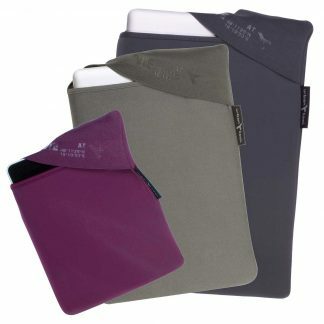 Comfortable and ergonomic back side construction. 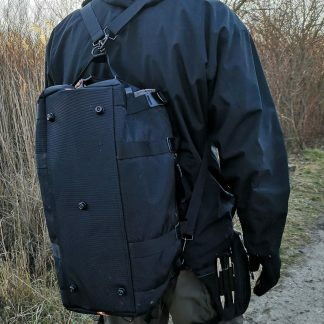 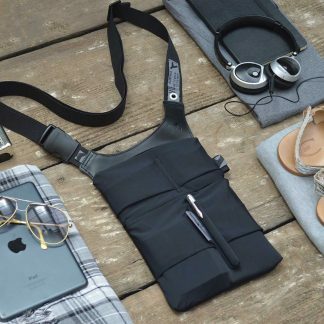 The modular design concept allows an extension into a double backpack with the URBAN TOOL piggyBack.